We have had a busy day today. With lots of walking and exciting views. We spent the weekend driving from our home in Colorado, through several states, and ending up in Virginia. We are staying in northern Virginia for 3 weeks!!! We arrived Sunday night and took Monday to get organized and recuperate from our LOOOOOONG drive, so today was our first real sight seeing day. The number one thing on my kids’ list……the ZOO. 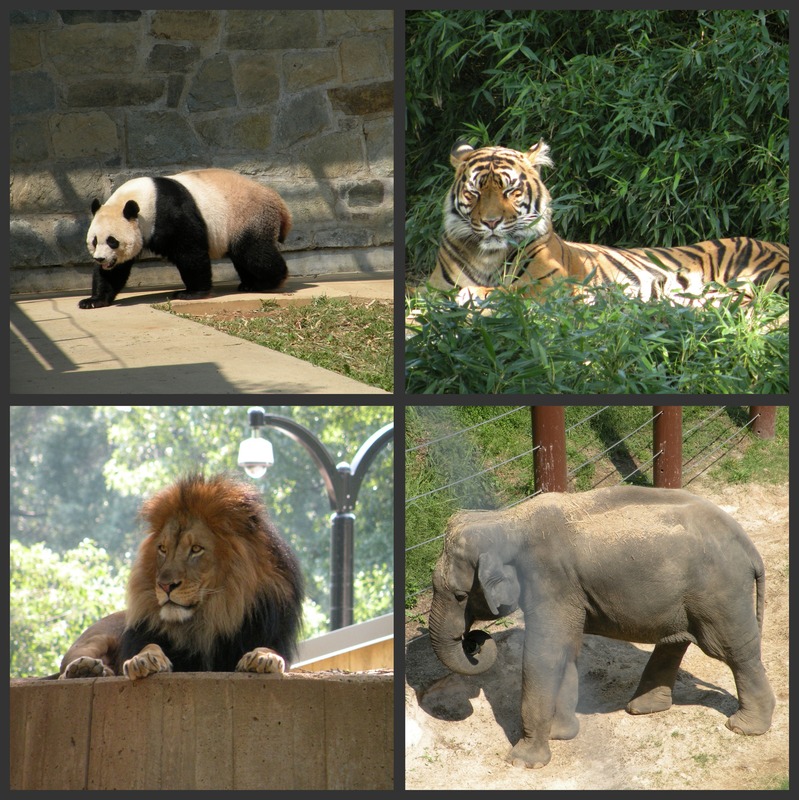 We rode the metro (D.C.’s subway system) to the zoo and back. Don’t you just love when getting there really is half the fun?! We had a great day and I am completely exhausted from all the walking and pushing my kids around, but it was a lot of fun and a great start to our vacation. These are just a few of the amazing animals that we saw today. We picked a great day to take a trip to the zoo. The animals were not only out and visible, but were active and posing for pictures. We even heard a tiger roaring today!! So fun! And of course, seeing the giant panda bears is always a highlight. But enough about my amazing day with my kids and on to the reason you are all really here- desserts. I seriously think that I walked enough today to eat an entire one of these babies and not even blink an eye. This cake is moist, and superb! 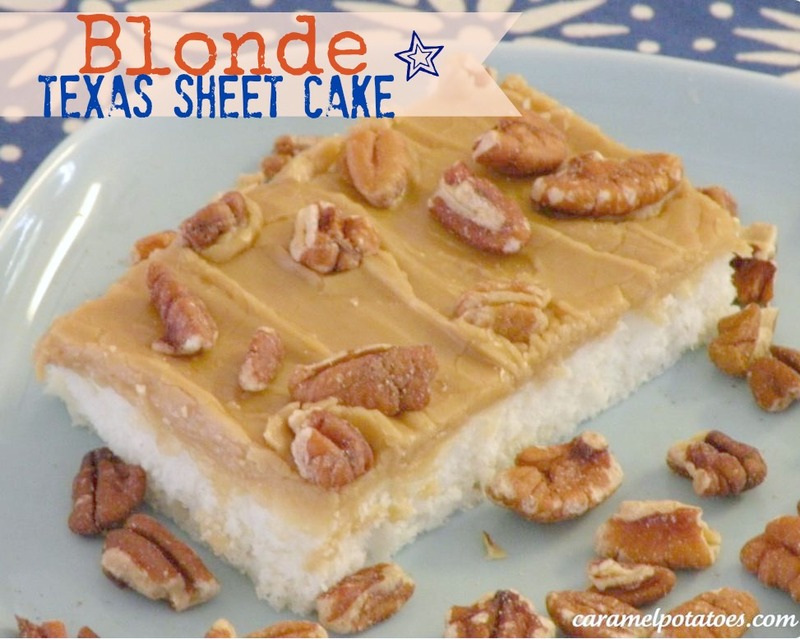 The caramel pecan frosting takes this to cake to a whole new level. And do not forget to toast the pecans. The flavors really intensify with toasting. It is great to take to a gathering or have at home for your family. Directions: Preheat oven to 350. Place chopped pecans in a single layer in a shallow pan, bake for 6 minutes or until lightly toasted and fragrant. Beat together all the cake ingredients at low speed with an electric mixer 2 minutes or until blended. Pour batter into a greased 15- x 10-inch jelly-roll pan. Bake at 350 for 15 to 20 minutes or until a wooden pick inserted in center comes out clean. Cool in pan on a wire rack 2 hours. Bring butter and brown sugar to a boil in a 3 1/2-qt. saucepan over medium heat, whisking constantly (about 2 minutes). Remove from heat, and slowly whisk in buttermilk. Return mixture to heat, and bring to a boil. Pour into bowl of a heavy-duty electric stand mixer. Gradually add powdered sugar and vanilla and almond extracts, beating at medium-high speed until smooth (about 1 minute). Stir in pecans. Pour immediately over cooled cake in pan, and spread quickly to cover cake. This cake is dangerous – it is so good. My husband can’t eat the pecans, so I just put them on part of the cake after frosting. That way we can have some with pecans and some without! Ahmagads, I’m a little scared to make this. I’d eat the whole thing. In one day. By myself. But hey, it’s better than starving… Right?